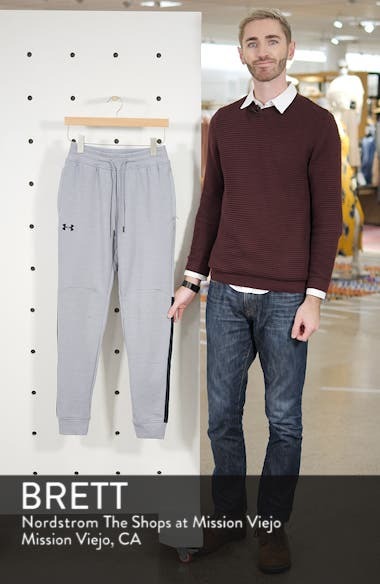 Darted knee panels and rib-knit outseams perfect the sporty look of casual sweatpants crafted from breathable, moisture-wicking UA Microthread fleece. Choose a sizeTrue to size. Waist sizing; S=28-29", M=30-32", L=34-36", XL=38-40", XXL=42-44".